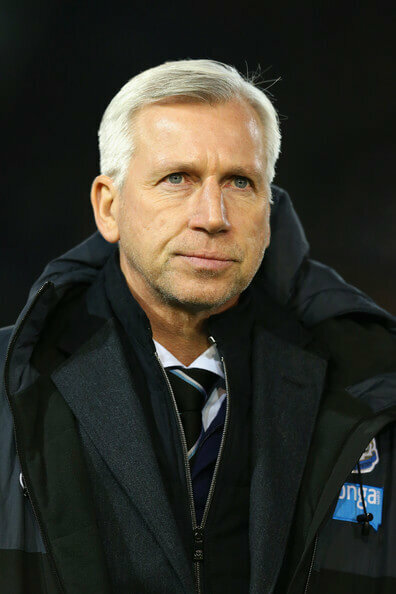 Alan Pardew has given an injury update for the game at Arsenal on Saturday, and surprisingly Rolando Aarons is still not available, and it seems to be taking a long time for him to recover from the hamstring injury he has. The 19 year-old came back from his last hamstring injury too early when he played at Manchester City in the Capital One Cup tie and scored after just six minutes – so it’s better that the Newcastle medics ensure he’s absolutely fit when he plays again. Alan basically said it was where we were before the Chelsea game last Saturday, so presumably that means Colo is fit to play, which is great, but Mehdi Abeid is still out with that foot injury of his. It looks like Rob Elliot will be back in early January and he could be ready for the game at home to Southampton on January 17th – which means Jak will be in the Newcastle goal for eight very important games. Moussa Sissoko and Steven Taylor are suspended for the game on Saturday – for just the one game – so both will be available for the game next Wednesday night at Tottenham in the quarter finals of the Capital One Cup. It’s a pity Mehdi Abeid is not fit because he could have come into the midfield for the missing Sissoko – but Sammy Ameobi played last weekend after Alan had said he was injured at Burnley – so maybe Mehdi could still make the starting line up at Arsenal? Hope so – because Mehdi is proving himself to be an excellent player for Newcastle this season. Newcastle should be able to field quite a strong side at the Emirates this Saturday in the late kick off game – 5:30 pm kick-off. Note: Two of our readers – Robert Cropper and Joseph English – are Newcastle University students and for their third year dissertation they have chosen to focus on the question “Has There Been a Decline in Atmosphere at British Stadiums?” with a specific focus on Newcastle United. They need as many questionnaires filled out as possible – please see if you can help them here. Spurs, couldn’t hold onto Bale, or Modric, Liverpool, Suarez, Man Utd, Ronaldo, Arsenal, Fabregas; there’s probably a lot more other examples of clubs having offers too good to refuse. Al those players listed were offered new deals and we’re pusuaded to stay longer. Cabaye’s, a bench warmer, Ba, is in Turkey, Newcastle United, are still going strong without them. Absolutely. I guess sometimes that is more for pr reasons to keep the fans believing they’re trying, than actually trying to keep them. We don’t even pretend to try to keep our stars. We shove them front and centre I’m the shop window. AP a glorified salesman. Remy, is a Chelsea, bench warmer! Honestly think Krul will be off in the summer! Possibly already been promised? A move to a european conpetition club would see him become dutch #1! Cillesen only gets the nod because of champs league experience! Reckon He’ll move to a Spurs or even Liverpool as mignolet is awful and Lloris has got PSG written all over him! Failing that a move to italy or germany! Expect us to have Elliot as first choice with Darlow as number 2! You never bother listening to others regarding your opinions on those players who have left. Why should a player stay at a club with very little ambition, and on a massively lower salary than they could get elsewhere? You forget that these players are not geordies. They owe us nothing. I as a die-hard fan would still be slightly tempted by a move to a bigger club. Because I’m very ambitious. You mistake ambition for players taking the easy route and sitting on the bench. They give it their best shot to become a regular and they obviously believe in themselves. I’d give them a pat on the back and wish them the best. @mag92 yea they are bench warmers but surely they took these moves for the challenge? Surely a pro footballer like Remy or Cabaye has the confidence to make the moves they did fancying their chances of game time?? Their form before moving would suggest they had every right to think they where good enough! Personally think Chelsea would fly if they played 4-3-3 with remy , costa and hazard up top with oscar fabregas and matic behind…. Remy is a better player than willian for me! Same with cabs at PSG! Prefer him to veratti and Motta! Thats how football works, difference is most clubs look for a like for like or a quality replacement. MA either doesn’t replace or gets a kid in, which is great if he comes good and saves money but it causes a yo yo effect, that’s why we’ll never be more than a mid table club at best. Sliema, how do you know that the club has no ambition? spending millions on players doesn’t always equate to success; ask Liverpool or Spurs, fans. @tequila – just think Krul might fancy a move! Definately agree on Darlow, can’t see him being first choice for a year! Young Alnwick needs a trustworthy Centre back playing with him not someone like Colocinni who once led our defense to concede SEVEN – thats right SEVEN -goals in one game v Arsenal. These players move to bigger clubs, then realise they’re just average players in a big pond on decent money. Funny how Ed seem to be happy with buying Mitrovic or another 10 m £ and let them bed in for half as season but not giving the same time for Riviere, De Jong and Chucky to make their mark. So far that press conference niether confirms or denies Abeid is injured, I noticed he was not a substitute for the Chelsea game so what has happened to him? Has playing in the Burnley game put him back a few more weeks? Or has his toe injury escalated? Why don’t Journalists ask these real questions, rather than blowing smoke up each others posteriors? If we are going to spend big on striker he better be good enough to play straight way ahead of all the options we have. Since Collo had a hair trim he seems to be playing without as much weight on his shoulders and aided his freedom of movement. Playing on the right of CD seems to have let him return to his natural game and there is a better balance with a left footed partner. Being the Captain and more senior than Dummett the responsibility of being a mentor has reduced the occasions when he may have otherwise gambled.